The nearest airports to the Chesapeake Bay are Baltimore-Washington International airport, Washington Ronald Reagan National airport and Washington Dulles International Airport. From the airport it is approximately 30 minutes drive to the Charter Base. U.S. Highway 50 runs east and west from Washington, DC to the Atlantic Ocean. 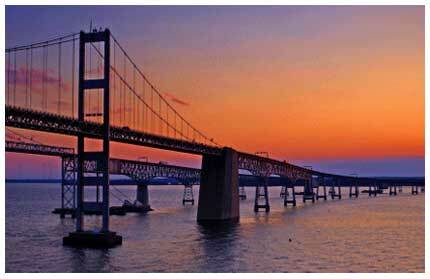 It crosses the Chesapeake Bay Bridge near Annapolis. International airlines that fly into Baltimore-Washington International Airport are: Air Canada, Air Greenland, Air Jamaica, Air Tran, American Airlines, British Airways, Continental, Delta, Icelandair, Midwest Airlines, North American Airlines, United, USA 3000 and US Airways. The Visa Waiver Program entitles citizens of 27 countries in the program to enter the United States of America for up to 90 days without a visa. All travellers must have a passport and it must be valid for at least 90 days from date of entry (except for nationals of Andorra, Brunei and San Marino, who must hold passports valid for at least six months beyond the intended date of departure from the USA). Travel must be for holidays, transit or business purposes only and for a stay not exceeding 90 days. 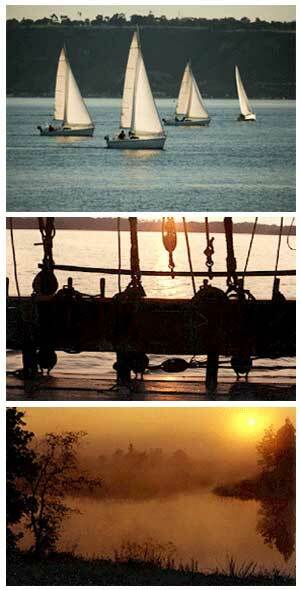 The official language of Chesapeake Bay is American English. The Water is safe to drink, if in doubt always buy bottled water. Sunscreen is always advisable as the sun can get very strong. Medical facilities are excellent but expensive. Only emergencies are treated without prior payment and treatment can be refused without evidence of insurance or proof of funds. Petty theft does occur in America as in most countries. Visitors should take common-sense precautions against petty crime. Avoid carrying large amounts of cash and use safety deposit facilities if available. If hit from behind while driving, indicate to the other driver to follow you to a public place and call 911 for Police help. Hotel Tax - Some hotels charge occupation tax and it can be as high as 15%, always check if the rate quoted is inclusive of all taxes. Service Charge - 10% - 15%, this is often added to the bill so check before you leave further gratuity. Gratuity is expected by Taxi drivers, bartenders and waiters - 15 - 20% is standard. It is not necessary to tip in fast-food or self-service restaurants. Do not make flippant remarks about bombs or terrorism, especially when passing through US airports. Laws vary from state to state, including speed limits and the legal drinking age. Illegal drug taking is not permitted and persons caught will illegal substances will be prosecuted. Individuals must obtain a saltwater recreational fishing license for fishing in certain parts of the bay which entitles them to use rod and reel (hook & line), spear or gig, hand line, cast net, dip net or two eel pots; other rules may apply to these specific items. US Dollar (US$) is the unit of currency and it is divided into 100 cents. Banks and ATM machines can be found in all main towns along the Chesapeake Bay. Travellers Cheques and currency exchange can only be done at major banks. Travellers cheques should be taken in US Dollars to avoid hassles. Major credit cards are accepted in most establishments. 110- 120 volt A.C. electricity system with 60 Hz Cycles. The standard electrical plug is two flat parallel prongs. International phone cards are available from most shops; public phones are conveniently placed along the streets in most destinations. Internet access and Wi-Fi is widely available at internet cafes in major towns around the Chesapeake area. 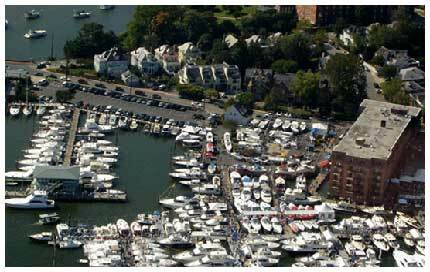 VHF radios are used to communicate with Marinas and other yachts.